Hello. I was wondering if any Sudbury spring thaw experts can weigh in on what they think will happen his year. Will it be a fast melt with tons of local flooding? Or will it warm up gradually allowing for a long slow melt/evaporation of water with no flooding? Next story Why just cry and make posts? Trudeau is here Wednesday, let’s have him hear us! Will soon find out in spring won’t we!!!! The problem with people who try to predict the weather is that they have their head in the clouds. 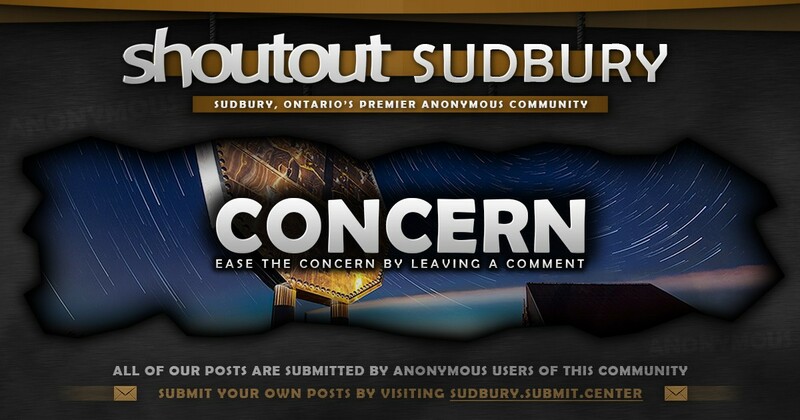 Shoutout Sudbury is not the platform to discuss meaningful topics such as environmental impact of spring thaw/melt processes. Please keep your posts to issues such as, but not limited to love triangles, meth heads, theft, poor customer service and warnings about STD’s. Spring and summer has been cancelled. Didn’t you get the memo? It will be what it will be !!! Sudbury is built over a lot of swampland. It always floods.